The leading businesses for Fredericton this year have been determined. 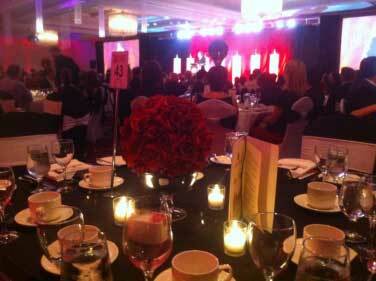 This October 16th the 2013 Business Awards were hosted by the Fredericton Chamber of Commerce and held at the Delta in Fredericton, New Brunswick. There were 20 businesses in total recognized for their customer service excellence, participation and support of community activities, and outstanding business practices to the Greater Fredericton area. The seven categories this year were; Business Excellence Award (20 employees or less) to Dana’s Collision Center, Business Excellence Award (20 or more employees) to Kingswood Ventures Inc., Not-For-Profit Organization Award to the Fredericton Community Food Centre, the Harvest Jazz and Blues Festival received the Community Leadership Award, Young Entrepreneur of the Year Award to Ginger Design, Sean Dunbar from Northhampton Brewing Company Ltd. was recognized as the recipient of the Business Person of the Year Award, and the newest category, the Resilience Award went to Wilkins Home Building Centre.